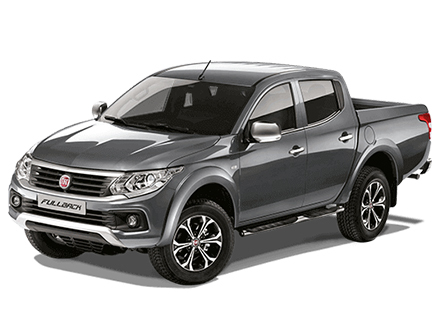 Discover the all new Fiat Fullback pick up truck by Fiat Professional. Four wheel drive is standard across the range. The new Fiat pick up truck comes with either a six-speed manual gearbox or a five speed automatic gearbox. Explore the Fiat Fullback and book a test drive today. Rugged, reliable and practical down to the finest detail, the Fullback pick up is precisely what you expect from a work vehicle. Fullback offers you up to one tonne of loading capacity and a 1.52 M long cargo bed. Its overall dimensions (5.2 M long, 1.8 M wide), also make Fullback the ideal pick up for your everyday lifestyle. Even after work. Available from Blackburn Motor Park, Bolton Motor Park, Warrington Motors, Preston Motor Park or the Fiat Oldham Motors dealership.